Many teen girls want to become a young actress on the big stage. Actresses, such as Hillary Duff and Miley Cyrus, started acting at a young age and became very successful as they grew older. While not all young actresses are going to be as successful as somebody like Ashley Tisdale or Vanessa Ann Hudgens, acting can still be a good hobby for young girls to become involved in. If you have decided that you want to get into acting, you will have to go through several steps before becoming successful. It is important to keep in mind, however, that you probably will not get any big roles when you first start acting. One of the most common ways for a teenager to become a young actress is through auditioning for television commercials and small roles, such as an extra, in movies. The part of an extra is usually just being a face in a large crowd or someone in the background of a scene. Make sure that you really want to become an actress. If you are not dedicated to acting, or if you do not enjoy it, then you will not do well and will be wasting your time. Sign up for acting classes in your area, and if your high school offers a drama class then you should consider taking that as well. Joining your school's drama club is also a great way to get started acting. Have a head shot taken at a local photography studio and put together a resume of all of your acting experiences. Some good things to include in a resume are any plays or school productions that you have been in. Go to auditions for television commercials or small parts. Be sure to look your best when you audition for a role, no matter how small, and be sure to have your lines memorized. With some hard work and dedication, you can make acting into an after school hobby, or even a career if you are talented. There are many different types of actors. In addition to television and movies, many actresses choose to get their start on the stage. While the big stage may be on Broadway in New York, acting in smaller productions at your school or a local theater can be beneficial and can help you learn many of the skills needed for acting. Many actors got their start by doing small plays and moving up to television or movies. Should You Get an Agent? You may wonder whether or not you should get an agent to represent you as an actor. There are pros and cons to getting an agent. A good talent agent will have connections in the industry and may be able to get you a reading for a part that you could not get on your own. She will help prepare you for the audition. If you land the role, you won't have to worry about negotiating your pay. The agent will negotiate for you and read over any contracts for trouble spots. It has been said that having a bad agent is worse than having no agent at all. There are few things as discouraging as having an agent who will not work for you. Your contract may also read in a way that causes you to have to pay the agent, even if you lined up the job yourself and the agent did no work at all. You'll also have to share your pay with an agent. If you (and your parents) decide that it is a good idea to get an agent, the best way to find a good agent is to ask other young actors you know about their agents. Ask questions about how quickly the agent returns the actor's calls, how many jobs he has lined up for them and if they are happy with his services. Talent agents typically take 10 percent of what the actor makes. In fact, California law only allows them to take up to 10 percent. If you make $2000.00 for a commercial, expect to pay your agent about $200.00. 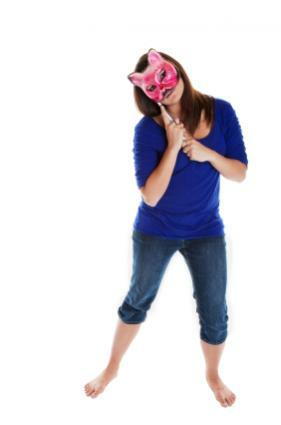 Acting can be a great way to boost self-esteem in many teenagers. Teen girls who are interested in modeling might also benefit from taking acting classes because these classes can help with self-confidence and speaking skills.